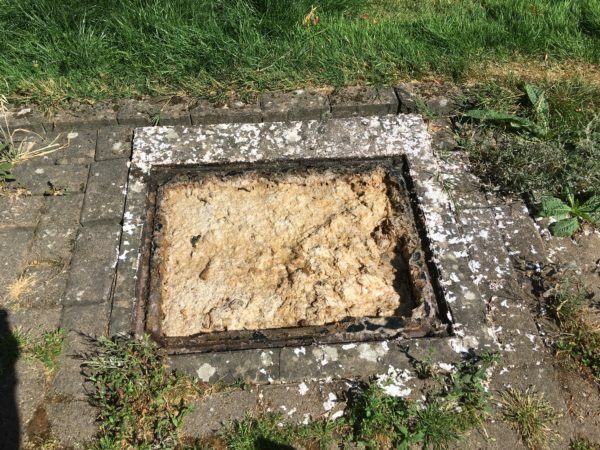 Whilst drain rodding has been around almost as long as drains themselves, there are occasions when rodding just isn’t enough and simply won’t work to clear a blocked drain. That’s why at Brisk Services, all our service vehicles have in built high pressure water jetting machines installed. The principle of drain jetting is fairly simple; a high pressure water pump feeds water through a high pressure hose to a nozzle at the end. Unlike a hosepipe where water comes out the end of a hose, the high pressure nozzle forces the water out backwards. This provides the propulsion to drive the hose down the drain towards the blockage. As the nozzle enters the blockage, the pressure of the water being forced out of the nozzle jets simply reduces the blockage to a pulp allowing the build up behind it to flow away. The process of high pressure water jetting also cleans and removes the dirt, grease and debris that builds up on the wall of the pipes over a period of time, thus leaving your drains clear and free flowing.